As a language teacher, initially of French and later of Hindi, I was struck by the agony that Hindi seemed to generate among students who were not native speakers of that language. A number of times, students who had struggled with Hindi for five years or more would come to me and beg me to allow them to switch over to French as their second language! Their sense of complete helplessness expressed itself in declarations such as, “Hindi is too difficult to learn.” And when I ask them how they were so confident about learning French, they would reply, “French is easier!” and give me names of older students who fared better in French, after switching over from Hindi, in their 10th standard exams as proof. I too had to admit that children could not only handle the exams but also speak in French with some fluency after being exposed to the language for two or three years alone. So, why was it so difficult to gain a measure of proficiency in Hindi? My own experience with language learning told me that no language is more easy or difficult to learn than the other. Learning is the outcome of a student’s own motivation, aptitude, degree of engagement with the process of learning, and last but not the least the process of teaching and learning itself. In this article, I would like to concentrate on the last factor. Having become aware of these issues, I decided to address them in the classroom by taking up Hindi language teaching to young children. Scholastic India Ltd has now published some of the material and classroom practices that emerged from this shift. It is called ‘Hindi Ki Duniya, pehle kadam’. In this article I will discuss briefly the reasons for the problems outlined in the box. I will then describe some of the common current practices that don’t address the problems, and then give some broad principles of language learning and teaching and share some ideas that I have found useful in the classroom. Students make many mistakes in writing because their pronunciation is faulty. When a child cannot pronounce Hindi words correctly it is natural that he will make mistakes when writing them – Saat (Seven) saath, khana (food) kana, mujhe-muje. I realised that the child could not pronounce these words properly because he simply did not hear the distinctions clearly. And typical errors such as the ones mentioned above were legion in students’ notebooks. Teachers try remedying these by giving frequent dictations. When lists of words are dictated to students, they sometimes do manage to write them correctly. However, when they attempt any kind of free writing, the errors come right back. No amount of practice with dictation can really remedy this issue. The key, I realised, lies in more oral work which stresses upon getting a more accurate pronunciation. Audio-based materials seem to help. Recording stories onto cassettes and giving them to children to listen to at home are useful in training the students’ ear to hear the sounds of the language. Recording students’ own speech and playing it back to them will also sensitise them to issues of pronunciation. Cassettes where blank space is left, for students to repeat after a recorded sentence or verse of a rhyme, also give an opportunity to students to hear and pronounce the sounds of the new language. Use of cassettes becomes all the more pertinent when a non-native teacher herself may have a less than accurate pronunciation. Substituting auditory discrimination tests for dictations is another effective practice: Distribute papers that have similar sounding words written in pairs. For instance – Saat-saath, khana-kana, mujhe-muje, tali-thali, jharna-jarna. The teacher then reads out a sentence – Mere saath Bunty bhi aaya hai. The child has to tick the right word on his sheet. Students make errors in syntax. Most can be traced to a lack of awareness of the gender of nouns. It is interesting to note that no primer introduces students to the gender of nouns, and therefore, they are often not aware of the gender of nouns appearing in their textbooks. Since much of Hindi syntax is dependent on the gender of nouns, it is not surprising that students make mistakes when forming sentences; they have no reference material to guide them. In my classroom, I adopt the following approach: First, I make it a practice to introduce every new word with a small drawing of a boy-face or a girl-face1 and teach the children the concept of boy-word, girl-word. I encourage the children to ask me for the gender of every new word they came across, and help them note it with symbols in their books. Then I create a set of flash cards using the nouns that the children come across in poems or texts they learn: Naav, nadi, kauwa, kuda, kovi, lattu, magarmach, machli, makdi, machchar, aam, eekh, eenth. With the flash cards ready, we play simple games. We sit in small groups of five in a circle. We spread the cards in the centre, upside down. One child in the group has the list of words with the gender symbol – he is the umpire. Others pick up cards in turn and make sentences with the noun they have on their card. For instance – Yeh mera naav hai or yeh meri naav hai. The umpire checks whether this is correct. If it is correct, the child gets to keep his card. If it is not, he has to place it back in the centre. The child with the maximum number of cards is the winner. Children love to play these games. By systematically playing such games, children can internalise the gender of nouns encountered in lessons with a fair amount of ease. In the first two years of language exposure, I play such games regularly with my students. Though these students continue to make errors in their later years of learning, the frequency comes down visibly. And what is most satisfying is that they do not experience a sense of helplessness while using Hindi. Students could read aloud fairly complex texts even with some degree of confidence, however many did not comprehend even ten per cent of the text. This is because our schools have for far too long stressed more on literacy, i.e., decoding of script to sound, rather than on the act of reading which is a more complete act of making sense of what one decodes. Unfortunately, even well-designed textbooks fall into the trap of reducing the complex act of real reading (understanding what you read) to such exercises as: Padho-ghar, kar, kab, kam, man, nal, bus, ras, kalam, namak, kamal (taken from Bal Bharathi Bhag 1 pg 19). 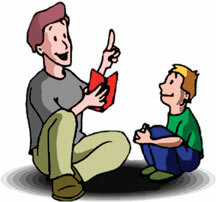 In doing such an exercise, the message that the child gets is that if he decodes the words in the book, his task is done. He thinks this is reading. And will continue to ’read‘in this fashion for years to come, never mind if it is all gibberish and brings to him no new information. If we are to inculcate a sense of reading for meaning, we need to shun reading aloud lists of words. But what is to take its place? Simple, meaningful, socially anchored, and if possible humorous texts. These texts should also have sufficient pictorial clues to help children understand the meaning in the first few years of language learning. Such an attempt has been made in the reader which is part of the Hindi Ki Duniya kit. Teachers need to look out for simple yet meaningful texts with high pictorial content. Some Children’s Book Trust CBT and Scholastic publications are very suitable for the early stages of reading. Students ‘know’ many words and phrases, but they cannot use them correctly in basic sentences. This often happens because children are taught a lot of disconnected words in a single class. The idea of semantic fields, i.e., words belonging to one semantic domain needs to be kept in mind while introducing vocabulary in a new language. Nouns need to be associated with verbs and other elements of syntax. I have found that it is a lot of fun to do activities such as the following: Think of simple everyday activities like drinking water from a jug. Together with the children pretend that you are actually drinking water from a jug, while vocalising each action. Here’s an example. Paani ka gilaas uthao. Use seedhi kar ke mez par rakho. Jug ka dhakkan kholo. Dhakkan ko neeche rakho. Ab jug dhyan se uthao. Paani bina giraye gilaas mein bharo. Jug mez par rakho. Us par dhakkan wapis dhako. Ab gilaas uthao. Bina mooh lagaye gilaas se paani piyo. Saara paani pee jaao. Gilaas wapis ulta kar ke jug ke dhakkan par rakh do. Students can in turn be asked to do something as simple. This encourages them to comprehend and speak. Students frequently used literary words in everyday conversations and writing. Main darpan mein mera chehra dekhi. This is the kind of sentence that Hindi teachers will recognise as one of their students’. The word ‘Darpan‘ may not be wrong, but it certainly is not a word you use when you speak. A simpler ‘Sheesha’ is more appropriate. But the non-native speaker of Hindi has probably never come across this more simple word! Yet, knowing a language is knowing its subtleties. We introduce literary elements far too early in our process of language teaching and then fail to forge the necessary bridges needed to understand that each language functions at various registers. Teachers need to emphasise this aspect explicitly. In fact, it is good to bring a range of language registers into the classroom and help students distinguish between language of everyday use and language used for literary or other cultural purposes. Far from making things too complex for the student, such a rich exposure will actually help students learn a language more effectively and make them independent users of the language. Students made many mistakes in writing; this was largely because their pronunciation was faulty. 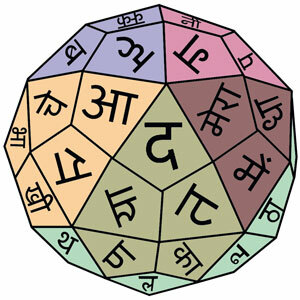 For example – Main kana kata hoon (rather than main khana khata hoon). Students made errors in syntax, which could be traced to their lack of awareness of the gender of nouns. For example – Bus aa gaya. Students could read aloud fairly complex texts even with some degree of confidence, however many did not comprehend even ten per cent of the text. Students ‘knew’ many words and phrases, but they could not use them correctly in basic sentences. Students frequently used literary words in everyday conversations and writing. For instance, Main darpan mein mera chehra dekhi.